Sigvaris Cotton 230 series knee high stocking is a versatile medical grade compression sock. Whether you are in the office or running errands, this ribbed sock will help your legs feel great throughout your busy day. Quality graduated medical compression stocking will help prevent symptoms of edema and lymphedema. Choose your color. Some colors are available in the Open Toe style. 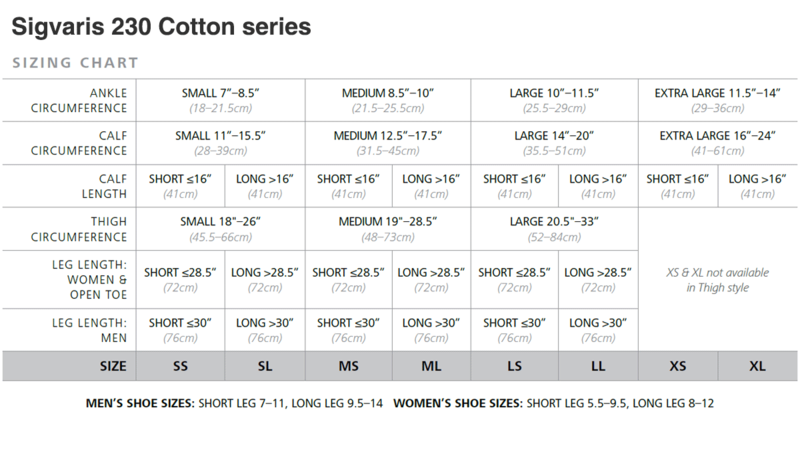 Choose the foot length. If you chose an Open Toe option, it doesn't matter which one you choose here.